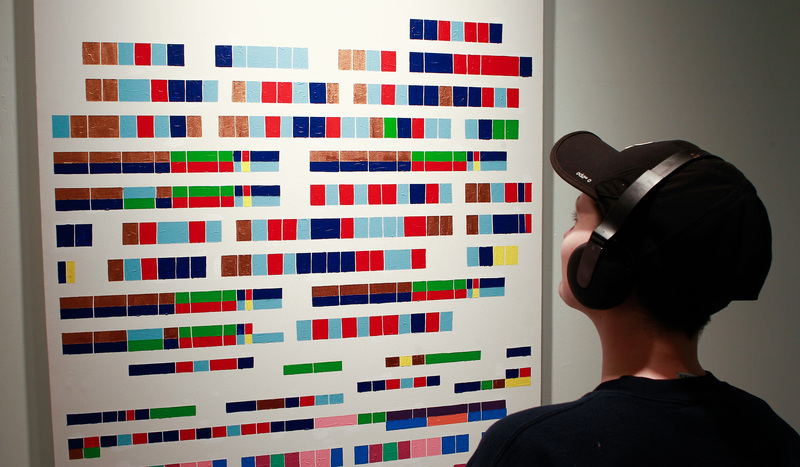 “Synesthesia is a condition where the brain crossfires sensory information … for example, I see colour and shapes when I hear music,” explained Beau. This month, the Hatch invited local artist Ciele Beau into its walls with a goal to unite colour and sound, immersing us into her world of synesthesia. Beau is a 29-year-old freelance artist who translates her experience with this perceptual phenomenon into enthralling artwork. Her short explanation of the condition helped to provide a clearer understanding of the room I was entering. Peppered with an assortment of different colours and shapes, it was clear that I was going to be submerging myself into a very abstract form of art which relied on sensory experience as much as it did on my visual interpretation. These unique art forms were paired with a unique concept: an exhibit “commemorating all those artists that died too soon or too young,” which can be viewed while listening to a curated playlist showcasing a well-known song from each deceased artist. The gallery was a collection of lines and colours that were fascinating on their own. But as I played the music, the exhibit took on a whole new lens. Beau’s hope for every individual walking into her gallery was to walk out “feeling like they understand what someone who has synesthesia is experiencing” — and I could honestly say that as I walked around the gallery, I was beginning to develop that understanding. An Early Funeral transported me to a whole new world where I was completely immersed in shapes and colours that paired perfectly with the music I was listening to. Just as Beau hoped, my visual and auditory senses began to blur and become one — and everything felt perfectly in place. Walking through this exhibit was something that, much like synesthesia, you cannot truly describe — only experience. So go, put on your headphones and be entranced by Beau’s world of sound and colour. 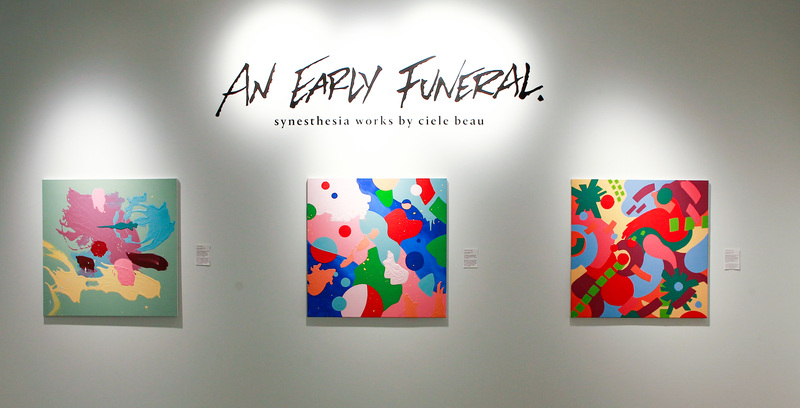 An Early Funeral at the Hatch Gallery will be on display until December 15.